Ride-Right Sankey Extreme Gear Protective Vest, BR/3 Event Vest - Cordura sankeyrodeo.com Price $249.95 Former Sankey Rodeo School Student Price: $229.95 Former Sankey Rodeo School Student Price: $204.95 Sankey Rodeo School Student discount... Ride-Right Sankey Extreme Gear BR/3 Event Vest - In Stock Black Leather sankeyrodeo.com Price $399.95 Former Sankey Rodeo School Student Price: $384.95 click here for instructions on how to receive your discount. click here for vest sizing charts. Ride-Right Sankey Extreme Gear BR/3 Event Vest - Custom Order Color. sankeyrodeo.com Price $449.95 Former Sankey Rodeo School Student Price: $429.95 click here for instructions on how to receive your discount. 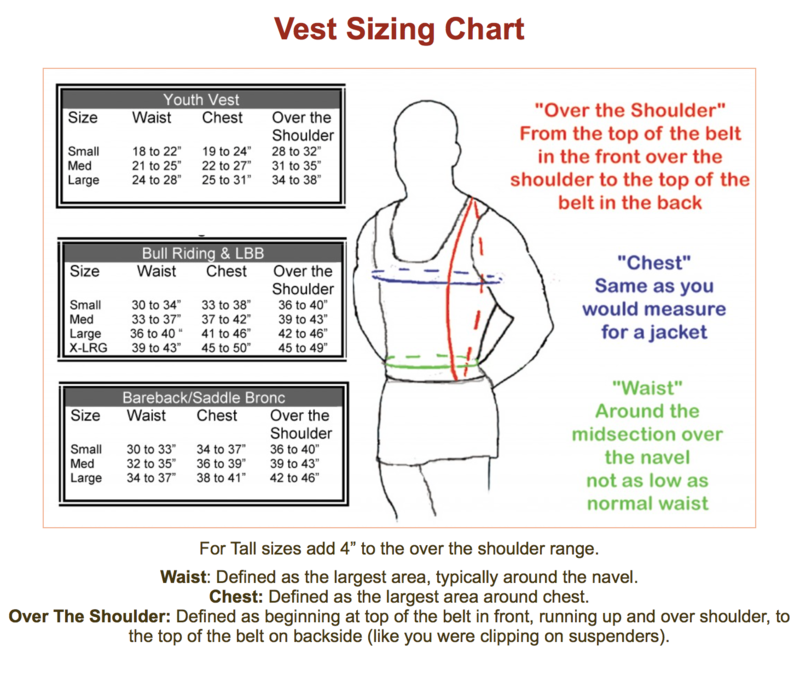 click here for vest sizing charts.